JKI (Jurnal Konseling Indonesia) with registered number ISSN 2476-8901 (online), ISSN 2476-888X (print), is a scientific journal which publishes articles related to guidance and counseling and education. JKI (Jurnal Konseling Indonesia), will publish two issues in a year (April and October). Every submitted manuscript will be reviewed by at least two peer-reviewers using double blind review method. Abstracts and full text that have been published on the website can be read and downloaded for free. JKI (Jurnal Konseling Indonesia) published by LPPM Universitas Kanjuruhan Malang. 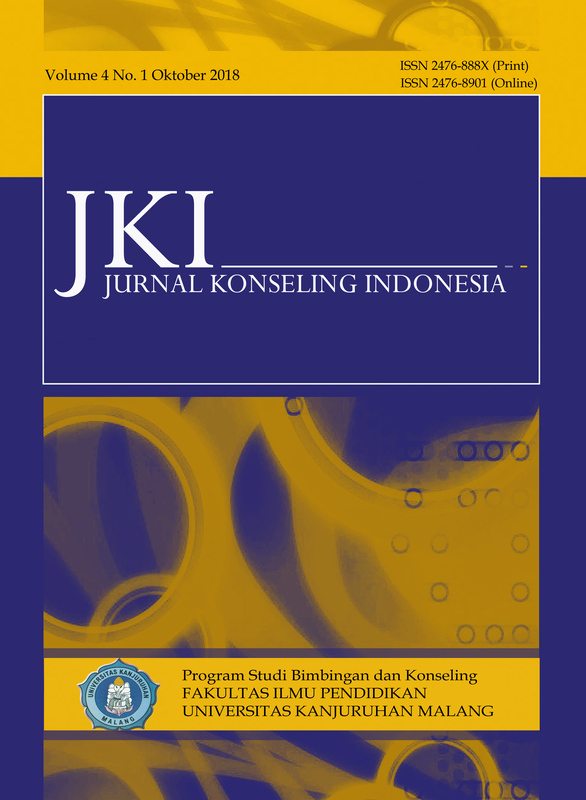 JKI (Jurnal Konseling Indonesia) is an accredited journal by Ristekdikti. For author interested in submitting the manuscript, kindly ­register yourself.